Hot chocolate! Mugs! Red! Twinkle lights! Do I love everything?! I wanted to say something like, ‘December is one of my favorite months!’ which would include October and September, then also February, maybe November… ! haha. I like being alive and experiencing everything. I love being inspired. I love it all! Thank you so much for coming to download our latest freebie, I hope you love it! Remember, these .studio3 cut files are for personal use only. 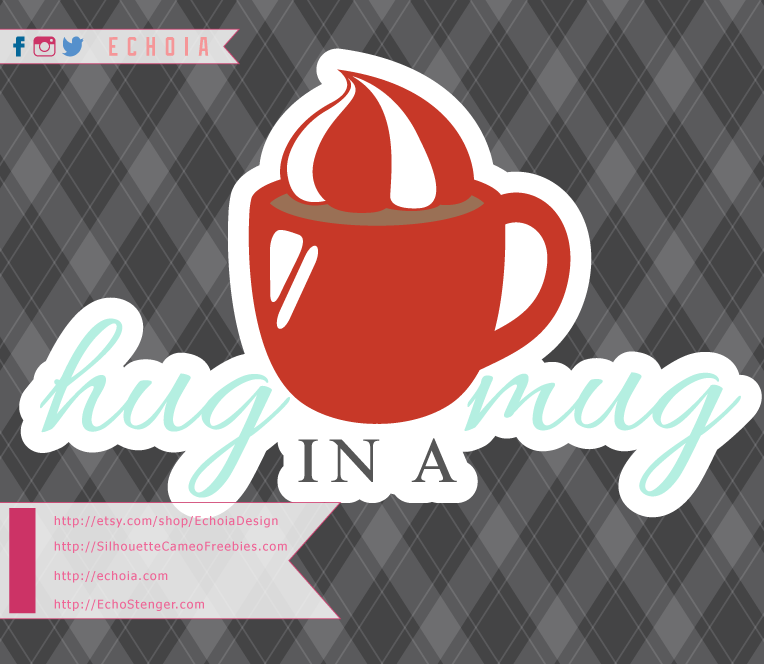 If you need commercial licenses, or more file types, please visit EchoiaDesign on Etsy.